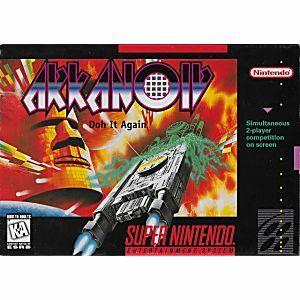 Arkanoid Doh it Again SNES Super Nintendo Game Cartridge Cleaned Tested and Guaranteed to Work! 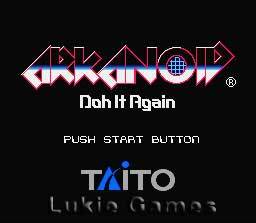 Arkanoid, one of the best-selling, most loved video games in history is back with more challenges and special features than ever before! In your scout ship, you will be racing through a galaxy crowded with solar block and powerful enemies, clearing the path with laser beams and energy balls. Test your reflexes in 99 levels of twisting puzzles, or use EDIT to build your own course. 9 types of power capsules drop from shattered blocks, changing the capabilities of your scout ship. 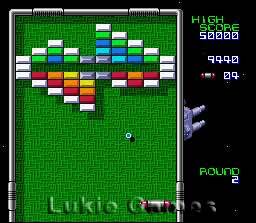 Arkanoid for the Super NES is even compatible with the Super NES Mouse to enhance your maneuvering skills. Two people can play together in one of three simultaneous game modes. 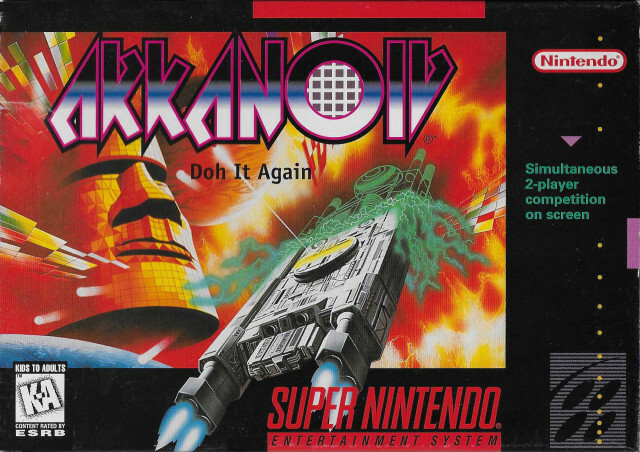 Arkanoid has finally made its long-awaited return and will push you to the outer limits! This is a good puzzle game. Has power ups and bosses every few levels and the challenge REALLY picks up in the later level. Try it out.